Everyone likes to feel satisfied about a purchase. This is true whether you buy for luxury, necessity or believe the two are intertwined. Only you can craft your path toward owning a hot tub. Getting there takes time, energy and self-fueled enthusiasm. Trustworthy, reliable guidance is essential when venturing into new territory. In fact, it is encouraged. The result will be a well-informed decision made with the utmost confidence. And it will be absent of any second-guessing. That’s something anyone can feel good about. The act of decision making has been well-studied. Key components to making decisions include introducing choices, describing options, and exploring preferences. Your decision is fueled by exploration and respecting what matters most to you. Who knew the decision to buy a hot tub would help you develop informed preferences. The following tips for First Time Buyers will free you from the apprehension and nervousness about your decision. Consider this the first step toward overall hot tub wisdom. Gather a wide range of information and narrow it down to something manageable. You may not even know enough to ask the right questions. The point is to start and see where it leads you. 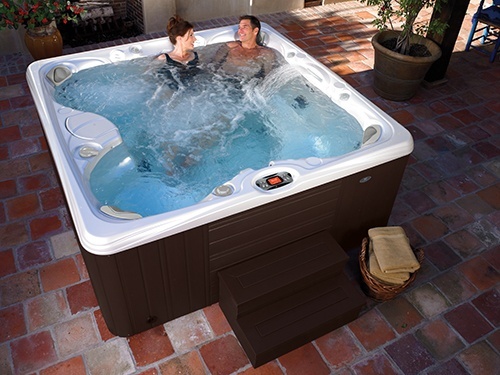 Search for the top rated best hot tubs by browsing sources like Consumer Affairs. Customer reviews are an integral part of any purchase. They may sway you toward or away from a product. Reviews also give you valuable information to spur a discussion with a dealer. Wondering why it is so hard to find exact hot tub prices online? Hot tub manufacturers don’t publish their prices online because many variables come into play when setting the retail prices for hot tubs. The best way to get the exact price for a hot tub model is to contact the best hot tub dealer near your home. Hot tub pricing information captures everyone’s interest, as it should. Be aware that a listed price may include hidden costs. Watch for added shipping, installation and up-sale items. Need a rule-of-thumb? Gather enough pricing information to feel confident about negotiating with the dealer. The more informed you are the better the transaction. Know your stuff. Identify the dealers within close proximity to your home. Look at online reviews. Ask for referrals you receive from trusted friends and associates. Make a list of questions that will help you get a sense of the dealer. Contact them by telephone before making an in-person visit. Many times you can tell if doing business with them would be a pleasant experience. Their responsiveness to your phone call and questions will give you valuable information. Jump in for a test drive of your hot tub at the dealer. Identify three dealers to visit if possible. Come prepared with all your online research. Before you go, compare spa models to identify the options you desire. You will know which models you want to see when you make your visit. Knowing what you want will help you decide if a price is manageable for you. Price alone will not be your only driver. 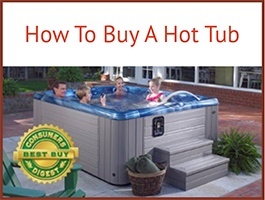 You are purchasing a hot tub for your health and well-being. Keep this in mind. Dealers are usually set up for you to take a dip in a hot tub. Dress in something comfortable. This is the equivalent to taking a test drive in a car. You wouldn’t buy a car without do so. Welcome the full experience. It will add another facet of confidence to your decision. There are people in your life you go to when you are in the midst of making an important decision. Seek out people who are positive, have your best interests at heart, and will be honest with you. Any large purchase carries a personal responsibility. You’ve got to feel good about it. If that means getting the approval from family and friends then reach out. It’s great to receive encouragement for doing something positive for our health. Write a list all the positive aspects of your decision. These will include health benefits, improved outlook, and positive family impact. Additionally, include the realities of your purchase including maintenance, upkeep, and expense. Address each of these and determine a plan to accomplish them. Consider this doing your homework. Close your eyes and imagine sitting in your hot tub relaxing away the tensions of life. If you can perceive it you can achieve it. Realize that this is the time to put yourself and your needs, wants and desires on the front-burner of your life. Pay yourself the attention you deserve. Nice things are worth having and you are worthy of having them. Say, “Yes!” It’s time to buy a hot tub. 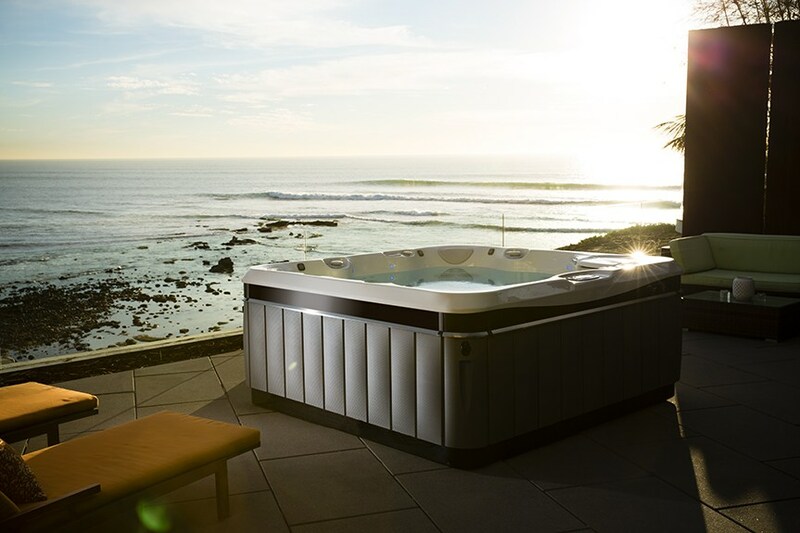 Picture yourself enjoying the view from your new hot tub. Take this time to solidify all aspects of your project. Determine where you will place your hot tub. 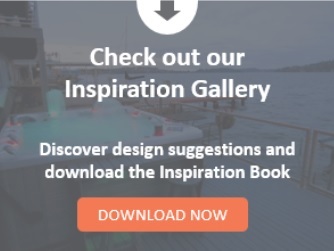 You may want to place it on a concrete slab or a newly designed hot tub deck. Secure the services of someone to help with the overall layout of your ideas. Read up on pre-delivery instructions to ensure you are ready for delivery. 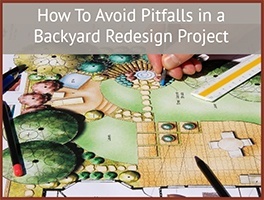 A detailed planning guide will direct you on every aspect of the project. You are not alone. When you open yourself up to new buying experiences you risk being wrong. Informing yourself as much as possible is a valuable preventative measure. Any decision to improve your life is a risk worth taking.